← caroline park and marta sainz (with nebelmeer) featured on the newest episode of sopa de truenos! pan y rosas release improvised guitar pieces by luciana bass! 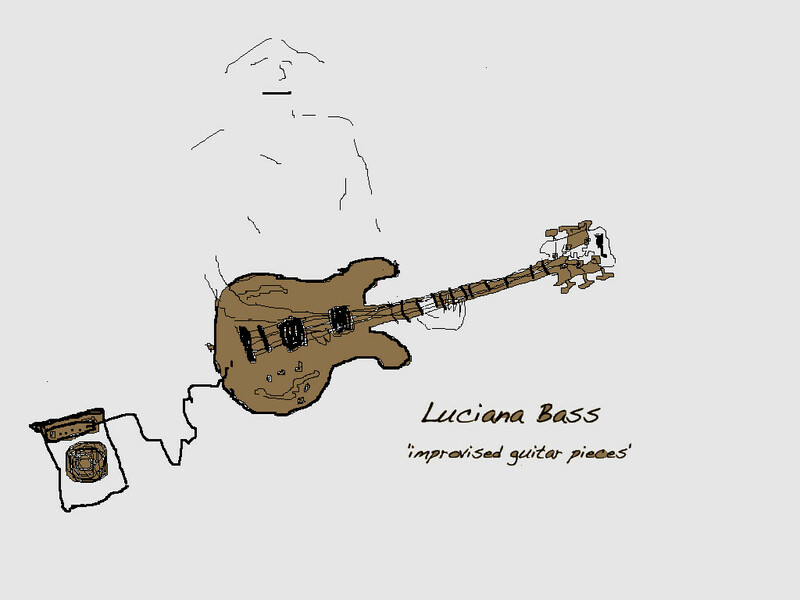 luciana bass is a guitarist who graduated in sound arts & design at the university of the arts london. she is interested in sound exploration and experimentation and her preferred method is, normally, the electric guitar. luciana’s first album for pan y rosas is a collection of guitar improvisations that she made with an emphasis placed on exploring and experimenting with different sounds. she produced all the sounds with an electric guitar with the exception of a tape loop on one track and an air extractor on another. every attempt was made to capture the spontaneity of the moment.